Millennium 7 Publishing Co.: Promote YOUR Brand With Social Media Videos? 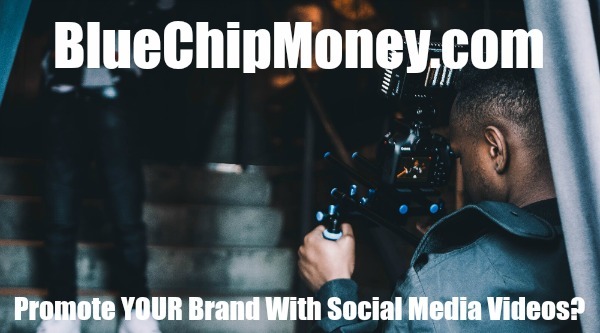 Promote YOUR Brand With Social Media Videos? After all of the discussion this year about the pros and cons of social media, you may wonder if it is still a useful tool for promoting your brand? If the viral success of a November 29 police recruitment video featuring Chewbacca is any indication, the right social media video can be an effective and useful tool. Less than two weeks after the “Wookie on the Force for the Fort Worth Police Department” video made its Facebook debut, the simple yet well-done recruitment effort had more than two million views and garnered national attention. Who knew that a simple video pairing a police officer with Chewbacca the “Wookie Rookie” would go viral? According to Facebook, from Thanksgiving Day to Cyber Monday, more than 130 million people gave thanks, discovered deals and boasted about bargains through social media videos. Small Business Saturday also fared well as Facebook stated, “people were inspired to shop local and support small businesses.” Although Black Friday held the most conversation, Small Business Saturday “surprisingly outpaced Cyber Monday,” Facebook noted. Decide how social media fits with your brand and your product. To attract holiday shoppers, for example, Facebook recommends starting earlier and ending later because people start their shopping earlier each year. In addition, 62 percent of the mobile-first shoppers surveyed will likely continue holiday shopping after the holiday season. Video is the best way to attract potential buyers. Facebook noted that according to a survey, about one in three mobile shoppers in the U.S. said that video is the best medium for discovering new products. Use memorable and meaningful content and build feed-first video so that you can achieve more impact. Video is not limited to stores and shoppers. Other businesses and their clients can also benefit from video. From testimonials to “how to features” to public service announcements, videos can be effective marketing tools. Businesses can now benefit from sharing videos on LinkedIn. According to LinkedIn, its users can share original video in the LinkedIn mobile application and use the site’s resources to learn how to upload and record a video in the mobile app. However, streaming live or recording/uploading on desktop are unavailable at this time. Be relevant. Choose the right message, quality visuals and social media platforms that are right for your audience. These are crucial steps to help guide your success. Guest Authored By Karen Geriner Robertson. Karen is director of public relations and client development at RobMark – Web • Advertising • PR. Follow Karen on Twitter. Choose the right message, quality visuals and social media platforms that are right for your audience.